Are you ready for an EPIC Easter? 🐰 Join us for our Easter Beach Party here at Robinsons Galleria! Plus get a chance to win gift certificates from Burger King, Max's Restaurant, and Pancake House! To enter, just present a minimum single-receipt purchase worth P2,000.00 from any of Robinsons Galleria’s retail outlets & restaurants or a P3,000 minimum single-receipt purchase from Robinsons Supermarket, Robinsons Department Store or Robinsons Appliances on April 21! 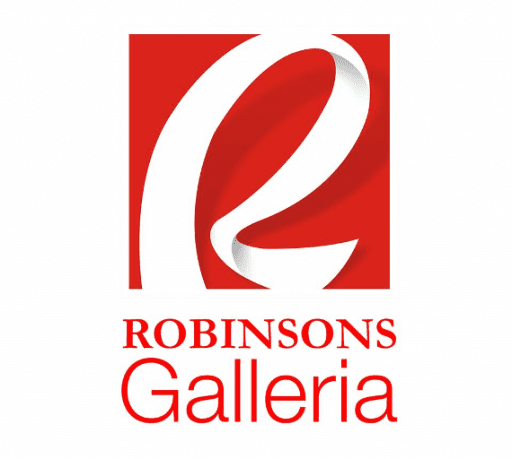 For more det ails, visit bit.ly/RobinsonsGalleriaEggscape Event Mechanics: 1. 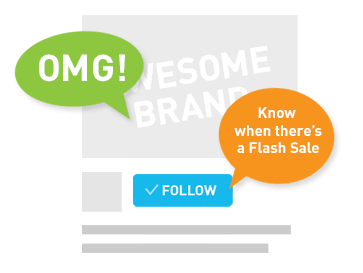 Promo Duration: April 15 to April 21 , 2019 2. For a minimum single-receipt purchase worth P2,000.00 from any of Robinsons Galleria’s retail outlets & restaurants except services such as utilities, telecommunications, bank, courier, etc. 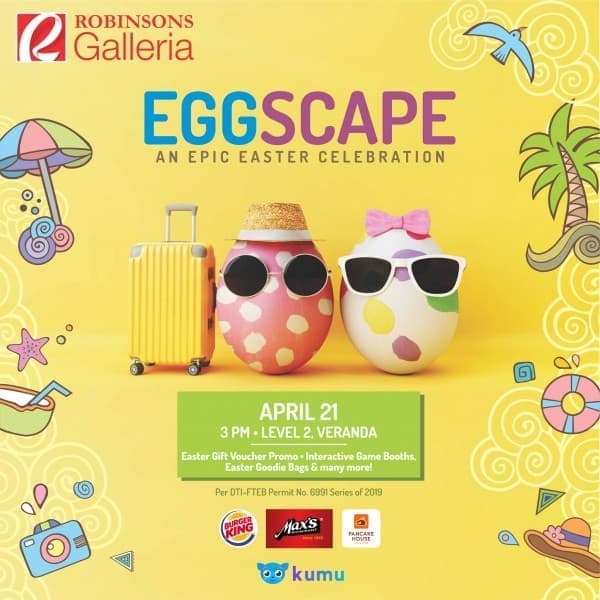 ; or P3,000 minimum single-receipt purchase from Robinsons Supermarket, Robinsons Department Store or Robinsons Appliances from April 15 to May 10, a customer is entitled to a FREE access to the Eggscape Easter event on April 21, 2019. 3. Receipts must be presented for validation at Level 2, Veranda. 4. All employees, partners, suppliers, and concessionaires of Robinsons Land Corporation including relatives up to the second degree of consanguinity or affinity are disqualified from joining the promo. Easter Gift Voucher Promo Mechanics: 1. Promo Duration: April 21 to May 10, 2019 2. For a minimum single-receipt purchase worth P2,000.00 from any of Robinsons Galleria’s retail outlets & restaurants except services such as utilities, telecommunications, bank, courier, etc. ; or P3,000 minimum single-receipt purchase from Robinsons Supermarket, Robinsons Department Store or Robinsons Appliances from April 21 to May 10, 2019, a customer is entitled to pick one (1) prize from the fish bowl to determine the Gift Voucher to be redeemed. (Participating partners: Max’s • Pancake House • Burger King) 3. Receipts must be presented for validation at Level 2, Veranda from 11am to 8pm. 4. 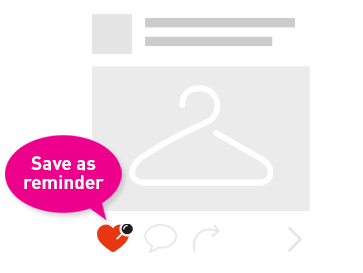 A maximum of three (3) gift certificates can be redeemed per person per day 5. All employees, partners, suppliers, and concessionaires of Robinsons Land Corporation including relatives up to the second degree of consanguinity or affinity are disqualified from joining the promo.